Happy Monday, everyone! I hope you all had a restful and relaxing weekend. Philip and I sure did and it was great. Now that I’ve been working full time, I adore the weekend and the time it gives me to rest up from the week. We kept it pretty low key around here, but I’m okay with that. Besides, it gave me lots of time to cook some things up in the kitchen…you’ll be seeing my works up here soon! But first, I wanted to share another recipe of mine that is literally tagged as a “favorite” in my recipe app. It’s right up there with my Homemade Cinnamon Granola (I don’t make 4 batches at a time, but I do make it biweekly, on average). Who needs a little help when it comes to eating their vegetables? (Raising hand now!) It can be tough to get the recommended daily amount of about 2–3 cups of vegetables in, but it’s so important to get all that colorful goodness into our day to help with overall health and to stave off chronic diseases. 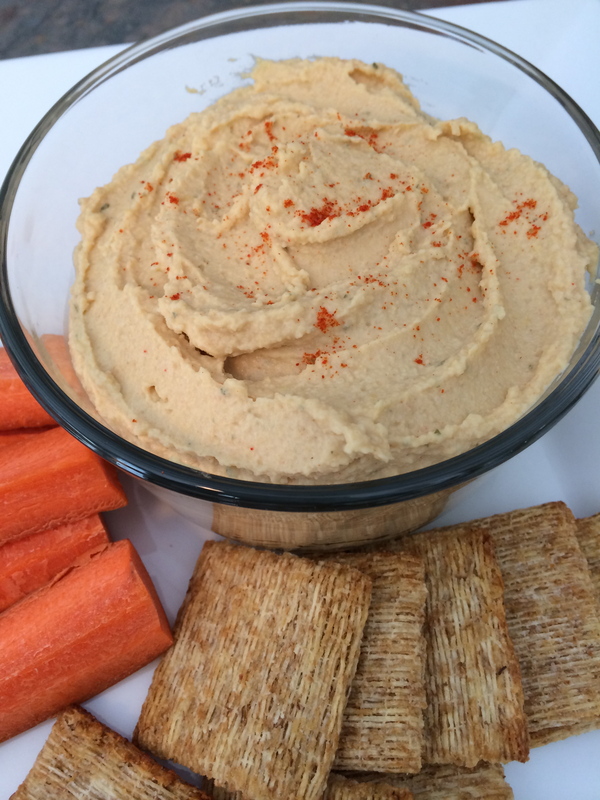 If you’re anything like me, I do better when I can dip my raw veggies into something…peanut butter (that’s a given), veggie dip, or possibly my favorite—my Easy Spiced-Up Hummus. I love that Philip likes to eat his vegetables, but I’m even more excited we have a new dipping source for them! This stuff is so healthy, but is packed with tons of great flavor at the same time. I add paprika, cumin, and a few dashes of hot sauce for a little extra kick. Don’t worry, it’s just enough for some extra flavor, but really isn’t that spicy. You can always opt for more or less hot sauce, depending on your liking! 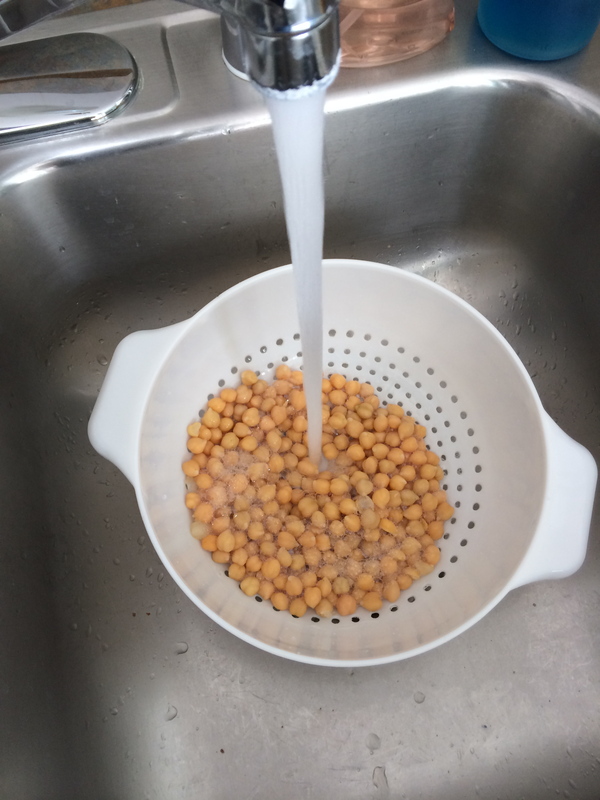 For this recipe, I used canned chickpeas for the ease of it, but you can also buy dried chickpeas (or garbanzo beans) and soak and cook them yourself. This would definitely cut back on the sodium content that is found in the canned option. 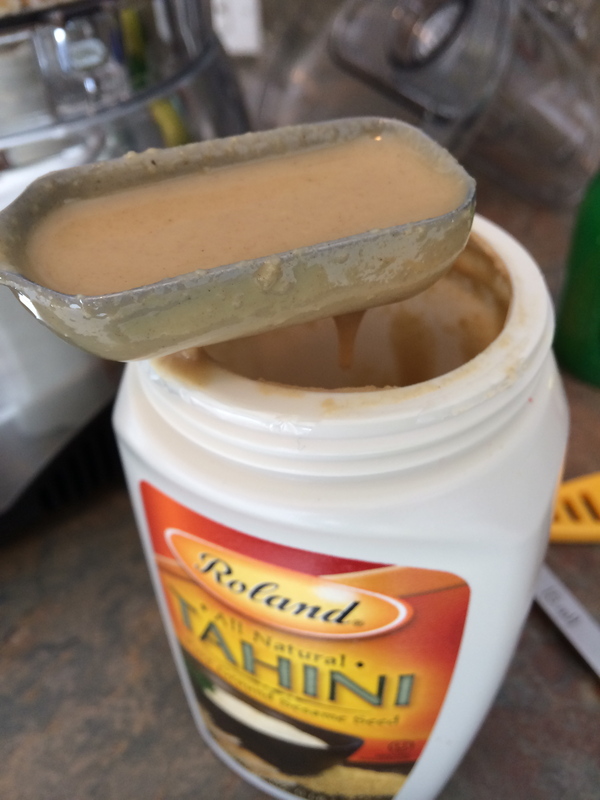 To help cut back on the sodium amount, I always rinse my canned beans and vegetables. This can cut back the sodium by 40%! 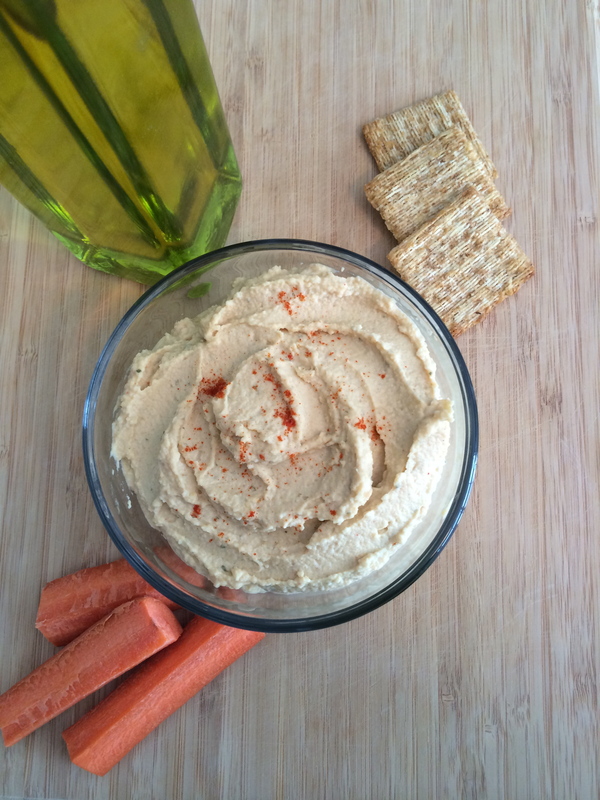 The name of my hummus says it all—it’s so easy. First mince up 2 cloves of garlic in the food processor for about 10 seconds. Then just add in the drained and rinsed chickpeas and the rest of the ingredients, except the olive oil. The food processor does the rest of the work for you. Let it run for about 30–60 seconds until it looks like it’s a nice, smooth consistency. I usually stop it after this and use a spatula to clean off the sides of the food processor before putting the lid back on. With the processor running, drizzle in the olive oil to finish it up. 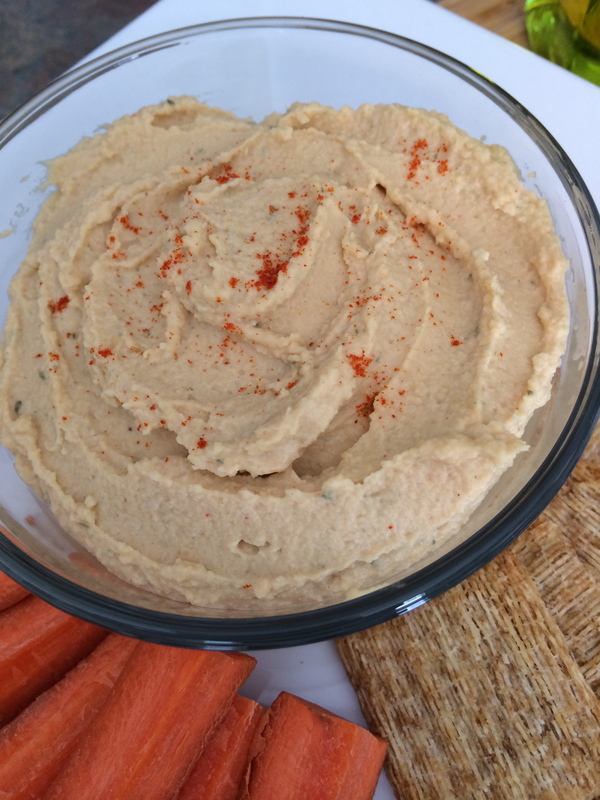 You now have delicious, healthy, homemade hummus—perfect for dipping! You can garnish it with a little bit more paprika, parsley, or olive oil, but it’s perfect without, too. I’m telling ya, you can’t give up hope on hummus until you give Easy Spiced-Up Hummus a try. 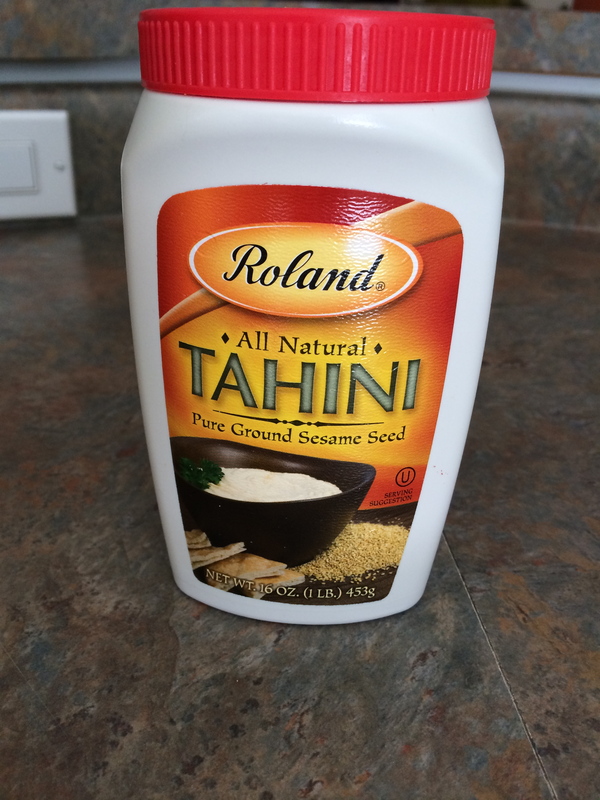 It’s full of flavor (not the boring, non-existent flavor of other hummus’ you may have tried before) and its creamy texture goes great with whatever you’re pairing it with—pita chips or Triscuits, any kind of vegetable, on a sandwich, or even mixed in with a salad (my fave!). What are your initial thoughts about hummus? What are your favorite ways to get your vegetables in during the day? Insert metal blade into food processor. Add garlic into work bowl of food processor; process 10 seconds to chop. Add the remaining ingredients except for the olive oil. Process for 60 seconds to combine. Scrape down the sides and bottom of the work bowl. 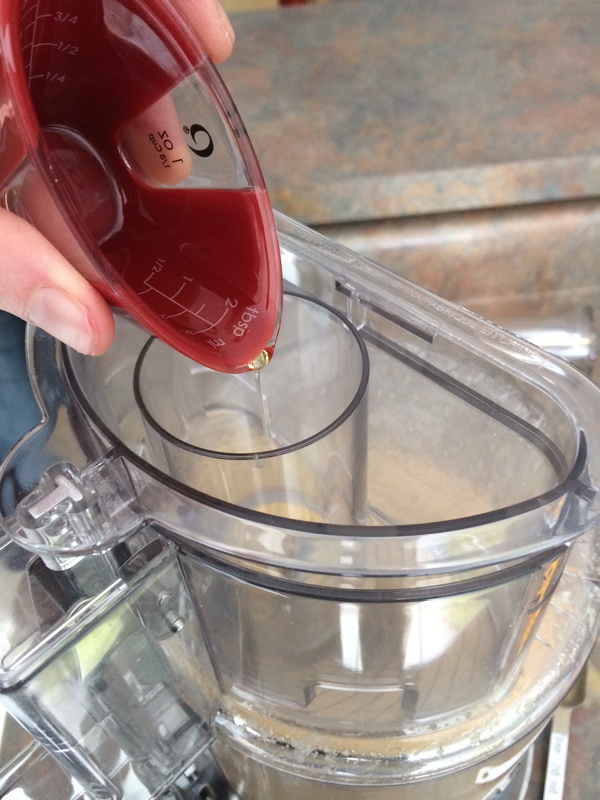 With the machine running, add the olive oil in a slow steady stream, and process until the hummus is smooth and creamy, about 30 seconds more. 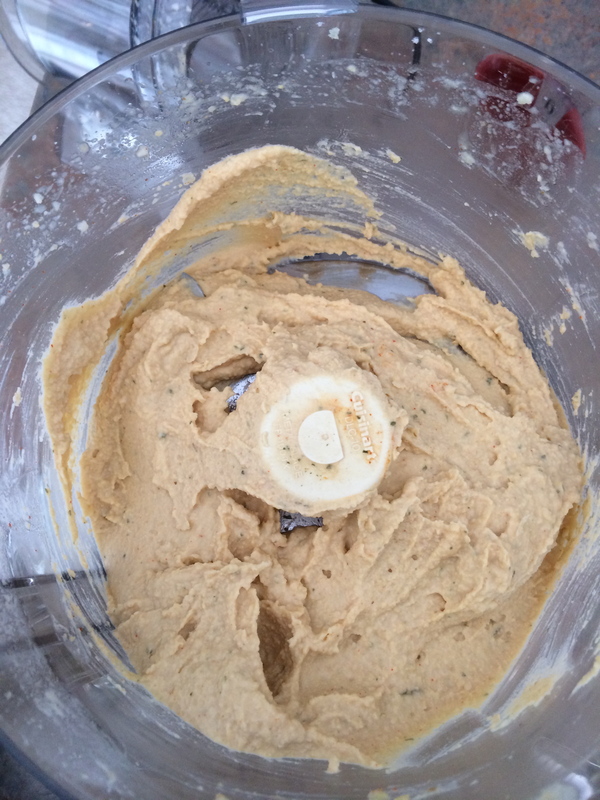 Allow the hummus to rest for 30 minutes before serving to allow the flavors to marry. Garnish with paprika, olive oil, or fresh parsley, if desired.